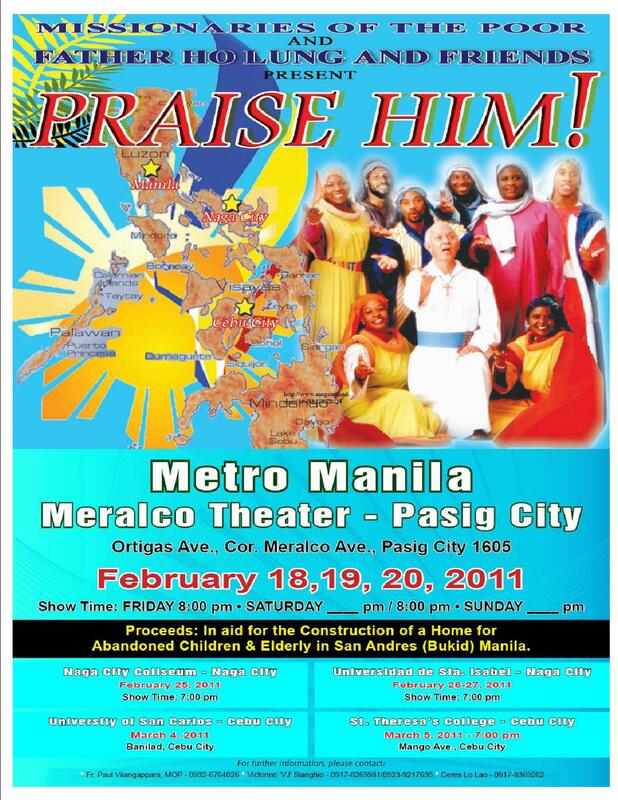 Praise Him musical concert – Pasig Real Estate Board, Inc. The concert was a very nice way to learn Jamaican music and culture. The group is very gifted, especially Fr. Ho Lung who wrote most of the beautiful songs. The singers were impressive, the beat was catchy, my children enjoyed it. I’m glad my family went. 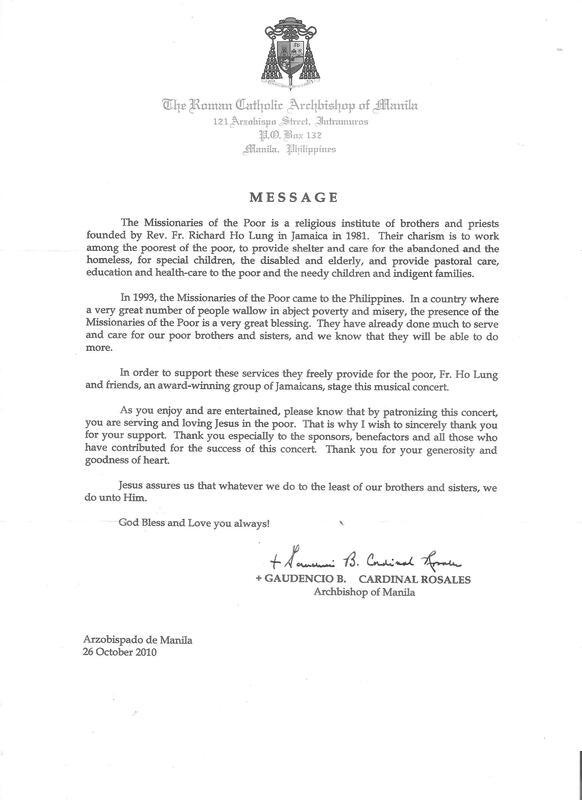 We feel blessed to have watched and helped. Here’s the video we took http://www.youtube.com/watch?v=nXaetrwRaTA .